Crystal Bay Beach Club is the latest project from the Crystal Bay team. But why 'beach club" and not just "restaurant"? We have a friendly happy vibe and we encourage our customers to relax and stay a while - sunbathe on the beach with a cocktail or snooze in the shade by the pool or in one of our salas. We have a world class pool table and table tennis as well as snorkeling gear for hire. Crystal Bay Beach Club is a great destination for the whole day. Come for lunch and stay for dinner and evening drinks. When our friends (and 2 of Amsterdam's best chefs) Freek van Noortwijk and Guillaume de Beer came to stay with us at Crystal Bay Yacht Club we were overwhelmed with the enthusiasm they had for the local flavours and products on the island. They were very impressed with the level of cooking and use of these flavours from our chef 'Chef Boy' and the 3 Chefs decided to work together to create an even more special menu for our restaurant. "Crystal Bay Beach Club" was then born, our new concept to reflect the new modern cooking philosophy of simple, fresh, delicious food on Koh Samui's best beach. The Amsterdam Chefs were very enthusiastic about the quality of products on the island - from the abundant seafood to the organic herbs and spices grown in the mountains, therefore their focus for the new menu was on sustainable, fresh and local wherever possible. 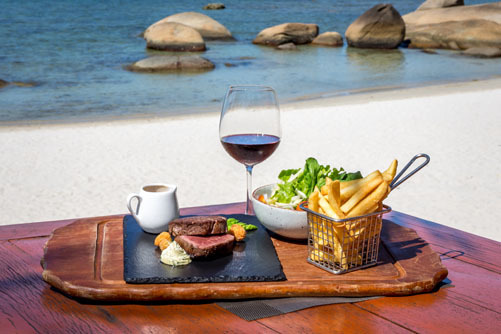 "Simple, fresh and delicious food on the best beach on Koh Samui"
We are so lucky to be located on the highest rated beach on Koh Samui (according to Tripadvisor) and we welcome all guests from outside as well as within our resort. 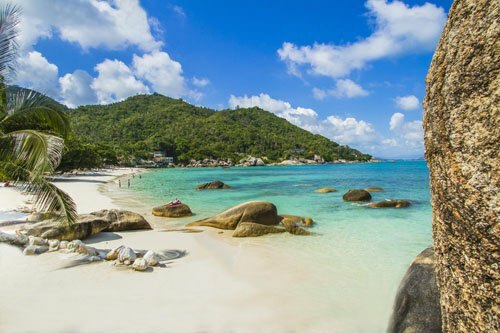 CRYSTAL BAY BEACH CLUB is perfectly located on Crystal Bay, with white sand, huge granite boulders and surrounded by jungle it really is a special place. We have a healthy and tasty children's menu and seating right next to the pool so you can keep an eye on your little ones if they would rather swim than sit still. Our new Terminator 9 Ft. Pool Table available, with Amarinth Balls and Tournament Simone Cloth is probably the best table on the island. Enjoy a game with a few happy hour beers after a hard day tanning on the beach. In the daytime come and enjoy the relaxed vibe and enjoy the food, drinks and sunshine on the beautiful beach or take a swim in our large saltwater pool. 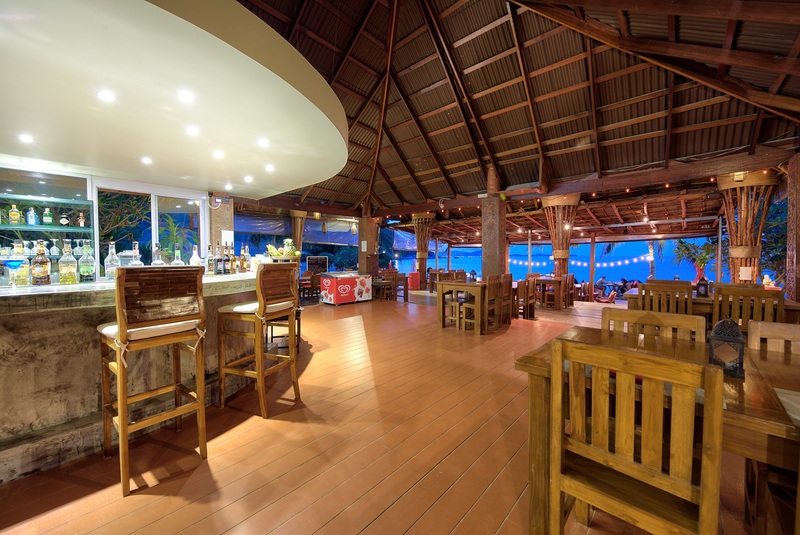 In the evening come and dine under the stars and enjoy the relaxing sound of the waves and the cool seabreeze. We have many special events on throughout the year with live music and other acts. Please follow us on Facebook for what's on. Our menu caters to all tastes and styles of eating. 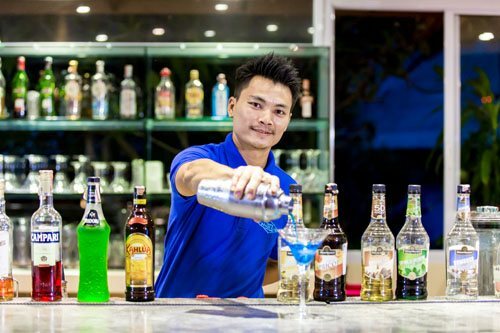 Whether you want to grab a quick burger or Phad Thai and then get back to the beach, or you want a leisurely 4 courses with wine in the evening, CRYSTAL BAY BEACH CLUB looks forward to welcoming you.